Does Drinking Water to Lose Weight Works? Last year when I gave up soda and sugary beverages, I started the Drinking Water to Lose Weight method. Many people have asked over that time how I did it and what was my secret. 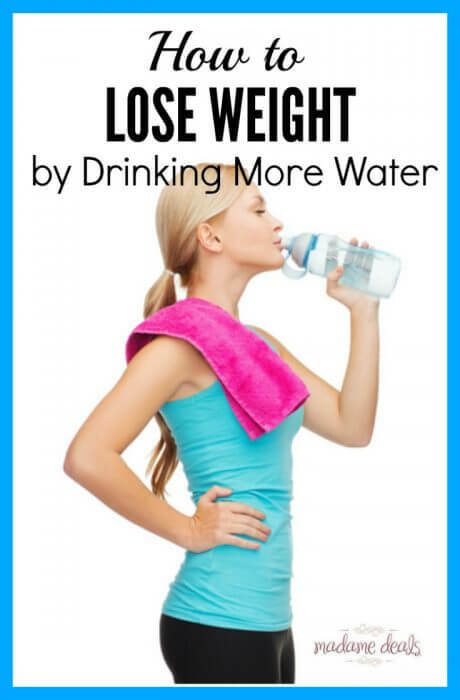 There isn’t any secret it is simply understanding how Drinking Water to Lose Weight. It doesn’t require money, fancy equipment, or a lot of time just simple changes in what you are doing. Keep reading below for simple tips and take advantage of our FREE Printable to help you keep track of the water you drink. The main thing to focus on is drinking 8 – 8 oz glasses of water daily. Before you say there is no way with our other tips on Drinking Water Lose Weight method you will find it is not as hard as it seems. Drink water in place of sugary beverages, sodas, sports drinks, smoothies and juices. If you feel hungry, drink a glass of water before eating. Many times dehydration masks itself as hunger because we do get fluids from food. Even when you are not thirsty drink water. This will ensure you stay hydrated and focused and less likely to snack. Drink Cold Water instead of lukewarm water to speed up your metabolism to warm up your body from the cold water. If you have a drink of alcohol, drink the same amount of water. This water does not count towards your daily minimum you should be drinking. Decrease your salt intake so you don’t retain the extra water you are drinking. Drink your Coffee and Tea without sugar and creamer. This will allow you to count this as part of your daily water intake. It might seem hard at first to start drinking more water and quit drinking the things you normally do but in no time you will find your body craving the water and not so much of the other stuff. Since you are learning the secret to Drinking Water Lose Weight, we are including a Free Printable you can download and use to keep track of the water you are consuming daily. It includes a whole month so you can see how you are doing overall. Don’t give up and keep trying to do better each day. On our printable we have included 10 Tips to Increase Your Water Intake. If you are unsure about How Drinking Water to Lose Weight method and if it really works make sure to read how I lost weight with water and how much I lost in only 1 week. Looking for more Health and Fitness Tips? Check out these articles below. How to Find the Best Electric Shaver?